There are many ways your everyday shopping can help benefit our school! Show your yellow Fairway Community Partners card before you check out at any Fairway, anywhere, anytime, and the MS54 will earn between 3-5% of your bill - it's as simple as that! NO COST to you! This is an amazingly easy way for MS54 to earn money for our school! All you have to do is remember to use the card distributed to your student when you shop at Fairway! 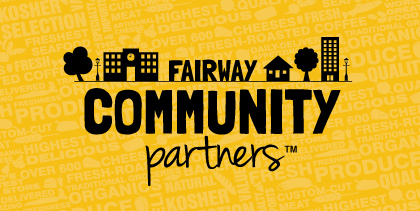 The Fairway Community Partners program has expanded. MS54 will now receive credit for all purchases that are made online. By shopping at https://shop.fairwaymarket.com and entering the promo code MS054 (that's a zero, not the letter "O"), 3% or more of the online purchase will be given to MS54 to support our school. MS54 is able to earn free dollars for our school when you shop at Amazon.com. Just remember to always use this link: http://tinyurl.com/ms54amazon or click on the Amazon logo and begin your shopping. At no extra cost to you, MS54 gets money for every dollar you spend as long as you use our link. 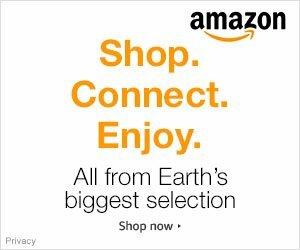 It's free, it's easy and Amazon.com has everything from Kindles and ebooks to electronics, clothing, toys, books and more! Pass the word on to your friends, family members and co-workers -- anyone who shops at Amazon through our link will be generating money for MS54. Every dollar raised goes to our school and to our children's education. The PTA is participating in the Box Tops for Education program. The program is a great way to raise money for our school and you can help by clipping Box Tops from hundreds of participating products and depositing them in the collection bin in the school lobby. Each one is worth 10 cents when our school redeems them. You can learn more about the Box Tops program here. Send your box tops to school with your children to Ms. Pejovich's attention! Holders of a Target ﻿REDcard﻿ can designate MS 54 as their beneficiary in the "Take Charge of Education" program. Target donates one percent of all Target Visa and Target Credit Card purchases made at a Target store or at target.com and on all Target Debit Card purchases made at a Target Store. Target also donates one-half percent of all Target Visa Credit Card purchases made outside of Target. Link your account to JHS 054 Booker T Washington – School ID: 77387 on the Target REDcard Take Charge of Education website or by calling 1-800-316-6142.